A memorial service will be held at St. Luke’s Lutheran Church, Vassar on Friday, February 1, 2019 at 11AM. Rev. James Plocher will officiate. Friends may call at St. Luke’s Lutheran Church, 916 W Huron Ave, Vassar on Friday from 9:30AM until the time of the service. Those planning an expression of sympathy are asked to consider St. Luke’s Lutheran Church, Vassar, St. Matthew Lutheran Church, Freeland, or the Martin Lutheran College Student Tuition Assistance Fund. 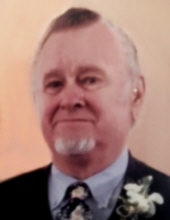 Arrangements by Ware-Smith-Woolover Funeral Home, 9940 W Saginaw St., Reese, MI 48757. To plant a tree in memory of David G. Biga, please visit our Tribute Store. "Email Address" would like to share the life celebration of David G. Biga. Click on the "link" to go to share a favorite memory or leave a condolence message for the family.